There’s Nothing We Can’t Fix! 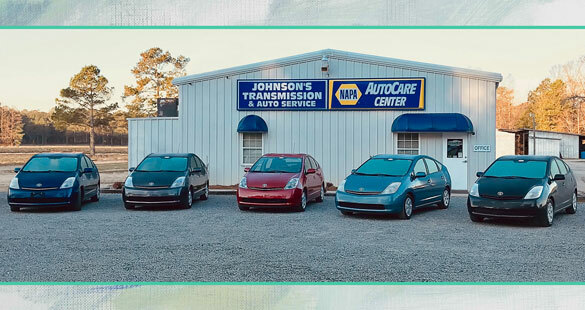 Johnson’s Transmission & Auto Service is Dunn, North Carolina’s one-stop shop for auto repairs, vehicle maintenance, collision repairs, auto body work, towing, custom modifications, and more! That’s right—there’s nothing we can’t fix at Johnson’s, and we do it all! Top to bottom, inside and out, big to small, we’ve got all your automotive needs covered, plus we offer the friendly and honest customer service you expect from a family-owned and operated auto repair shop. When you come to Johnson’s, you’re coming to an extension of our home, and your vehicle will be treated like one of our own. Commitment to community, family, betterment, and value —that’s what’s built our auto repair shop! Thank you, Dunn, for helping us celebrate 25 years in business! At Johnson’s Transmission & Auto Service, we offer the most up-to-date automotive technology and equipment, and our ASE-certified technicians are trained to use it correctly and accurately. For you, our customer, this means faster, more precise auto repairs and auto body work, no matter what you drive. And if you drive it, we can fix it! We work on domestic and import vehicles, as well as medium-duty trucks, RVs, and boats. We’re also proud to be the only AAA auto repair shop in the Dunn area! Come to Johnson's for all your automotive service needs! Concerned about having your car in the shop and no way to get around. We have a small fleet of Toyota Prius that we use as loaner cars. Contact us for an appointment to have your vehicle serviced or repaired. Certain restrictions apply. Have you ever felt like you need a little lift? We have a solution for you! Johnson’s Transmission & Auto Service offers custom suspension lift and leveling kit installation. 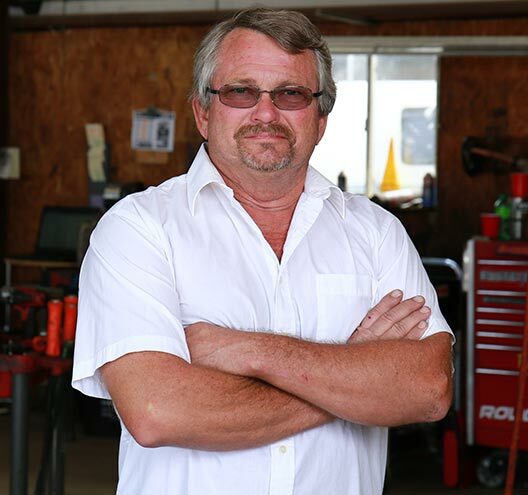 Johnson’s Transmission & Auto Service wants to be the best automotive repair facility possible—with the best reputation for honest, quality service and ethical treatment in all our activities. For both our customers and our employees, we want our shop to be an enjoyable place to visit and work, so that we ultimately serve a valuable purpose in the Dunn community. Equal to our automotive know-how, we are a welcoming, friendly auto repair shop that cares about you as much as we care about your vehicle. We want your experience with us to be as comfortable and convenient as possible, with the extras that make you feel special and appreciated. Let us know if there’s ever anything we can do to better accommodate your needs. 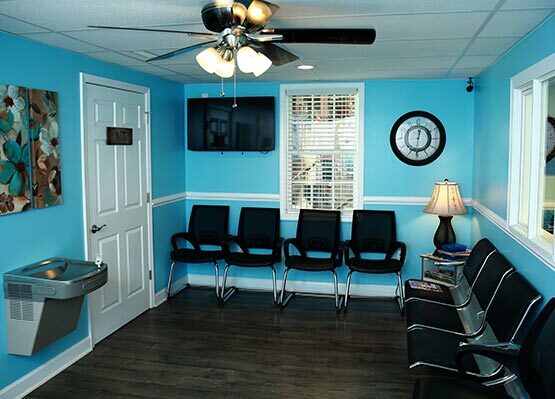 Our eight-bay auto repair facility, plus paint and auto body shop, is located at 1648 NC Highway 55 in Dunn, NC. We’re proud to live and work in an area where small, family businesses like ours are the life of the community, and we know how lucky we are! In addition to Dunn, we serve Erwin, Newton Grove, and Benson, and for students, we’re not far from Campbell University. We’re also close to Bentonville Battleground, I-95 and I-40, as well Hog Slat, international supplier to the farm industry. Call the get-it-Dunn auto repair shop where there’s nothing we can’t fix! Johnson's looks forward to serving you! 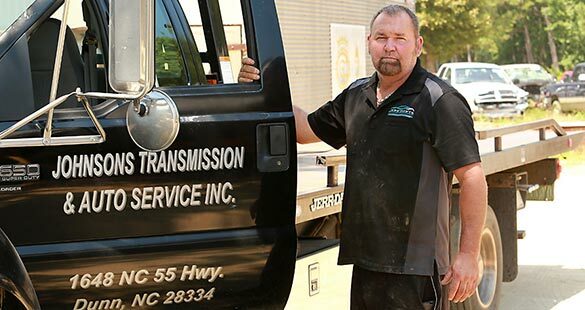 Serving Dunn, NC and surrounding areas, including Benson, Dunn, Erwin, and Newton Grove.